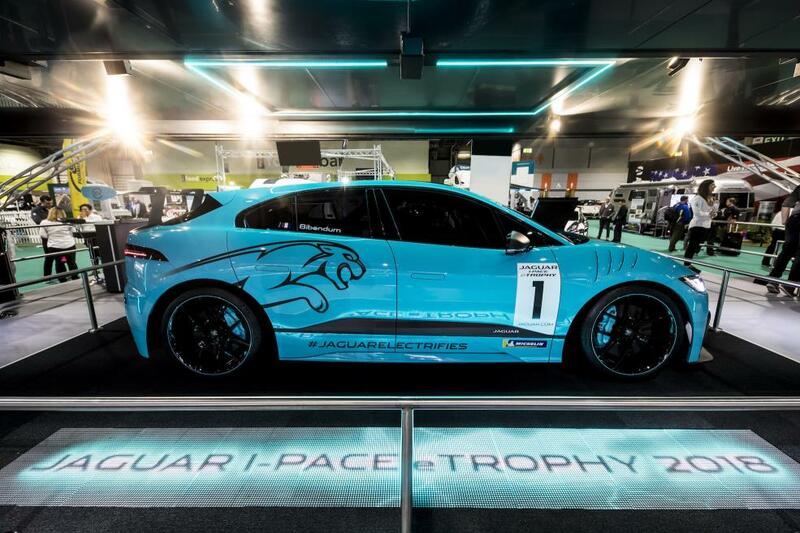 Today, Jaguar Racing announced its first Jaguar I-PACE eTROPHY partner, with Michelin joining as Official Tyre Supplier ahead of the series debut season later in the year. During an on-stage appearance at Autosport International, Jaguar Racing Team Director James Barclay revealed that leading motorsport tyre supplier Michelin will provide tyres for all 20 Jaguar I-PACE eTROPHY racecars at each round of the world’s first international championship for production-based electric cars. 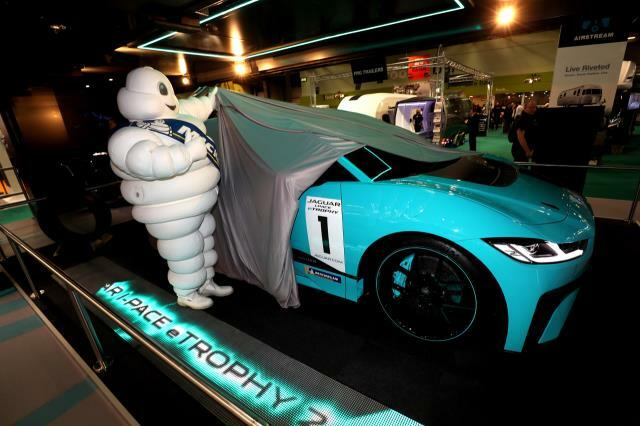 Michelin supplies tyres to a host of leading motorsport series including the FIA Formula E Championship, FIM MotoGP, FIM Moto-e World Cup, FIA World Rally Championship and FIA World Endurance Championship. The Jaguar I-PACE eTROPHY will now join this impressive line-up. Rahal Letterman Lanigan Racing (RLL) were recently announced as the first team to enter the series. With Michelin being revealed today, the world’s first production-based electric vehicle race series is gaining global recognition ahead of the first race in late 2018. 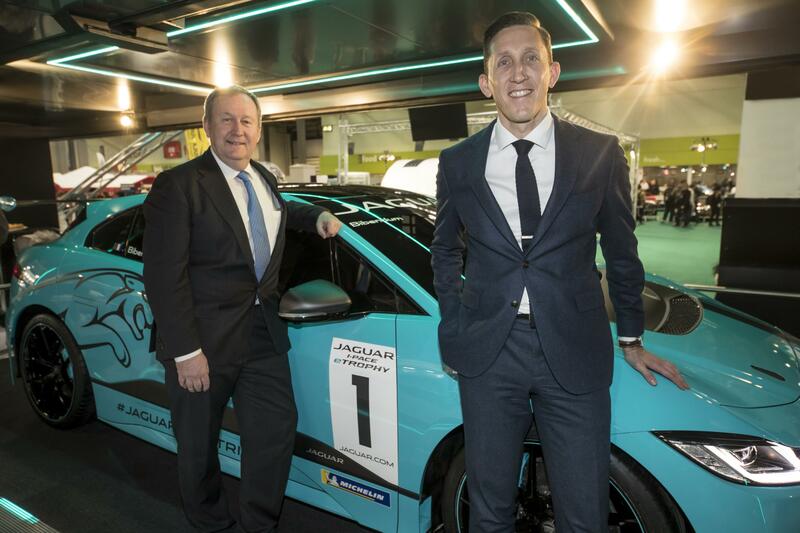 "Jaguar Racing are thrilled to have such an established motorsport partner like Michelin joining the Jaguar I-PACE eTROPHY and we’re confident they will help us to deliver a successful and exciting series. Since the global announcement in September and the reveal of Rahal Letterman Lanigan Racing as the first team in November 2017 there has continued to be positive interest and we look forward to announcing more partners and teams over the following months." 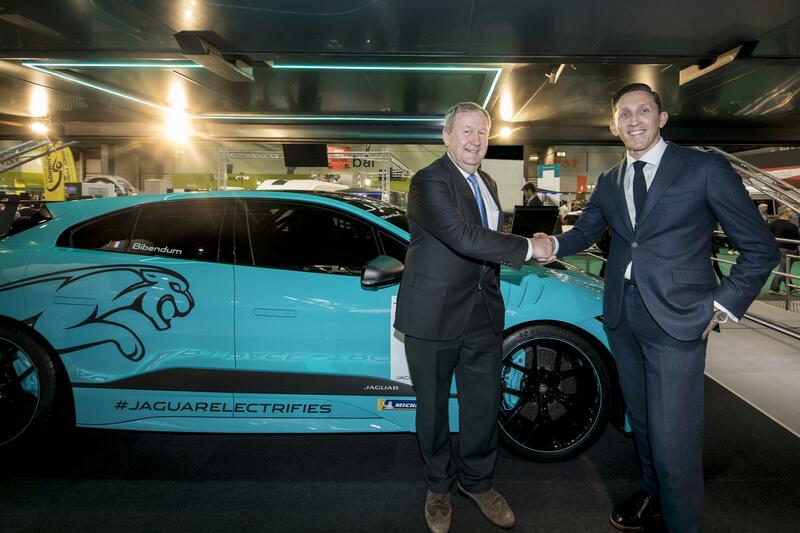 "We have been a partner of Formula E since its inception four seasons ago and are excited to extend our presence in electric motorsport into the Jaguar I-PACE eTROPHY. The series is in its early stages and we look forward to working alongside the Jaguar Racing team in launching the world’s first international championship for production-based electric cars." Venues and calendar subject to FIA approval. Manufacturers can design their own powertrain, which includes the motor, transmission, inverter and the rear suspension. Common components across all teams to control costs include the carbon fibre chassis and battery. The focus is on developing electric vehicle powertrains. Beyond its all-electric concept, Formula E is also unique in the world of motorsport for its choice of venues. With the exception of the Mexico ePrix, every round of the championship takes place on temporary street circuits in the centre of the world’s major cities. Each race day sees all track action including practice, qualifying and racing, taking place in a single day. The 2017/18 calendar includes 14 races in 11 cities, including double-header races in Hong Kong and New York.